The purpose of the Social Action Committee is to provide opportunities for our fellowship to apply the UU principles and values by learning, contributing, and acting on social action issues in our local and wider communities. The mission of the Social Action Committee is to provide opportunities for our fellowship to apply the seven Unitarian Universalist principles into action. The vision of the Social Action Committee is a world where justice and peace thrive in a way that supports the interconnected web of life. Identify a variety of opportunities related to social justice and environmental stewardship for the fellowship, including education, service, witness, and advocacy. Partner with other groups that promote justice, peace, equality, and environmental responsibility. Present and identify activities related to social action for people of all ages and abilities to participate in. We are always accepting new people that want to work on a particular issue, or just come and find out about our activities. Our upcoming meetings, including time and location, can be found on the calendar. 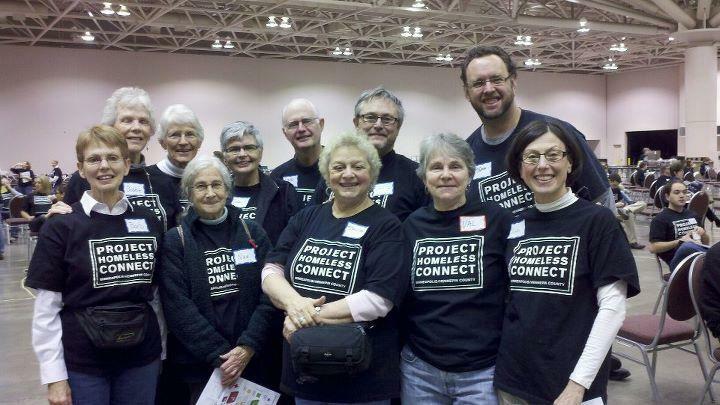 If you have questions, please contact our chair, Megan Duffy-Sananikone, at socialaction@mnvalleyuu.org. Currently, our main focus has been our “adopted” refugee family, who came to Minnesota from a refugee camp in Egypt in early Februrary 2017. Other areas of focus have been our Solar Garden project, our continued partnership with VEAP, and we are in the process of creating and hosting anti-racism trainings for our Fellowship. We continue “Sunday Sharing” to support a different local non-profit each month by donating half of our collection plate and monies to the organizations. Social Action is pleased to announce that “Anti-Racism & Anti-Oppression” will be an over-arching theme for the 2017-18 church year. We are encouraging every committee and facet of the fellowship to engage in discussion and action in including anti-racism and anti-oppression work as part of their focus. The congregation will also begin Beloved Conversations a UU designed program of experiential curriculum that provides a space to re-form/fuse the brokenness of racism into new patterns of thought and behavior ushering in social and spiritual healing. New ways of being are learned through the actions of conversation and probing dialogue. The program consists of a 1.5 day retreat that launches the curriculum, followed by 8 weeks of guided dialogue/experiential exercises. Each session in the 8 week curriculum is two hours, and highly structured. The retreat is facilitated by a trained Fahs Collaborative staffperson, the following eight sessions are facilitated by members of the congregation running the program. The work is done in small groups of 10-12 participants. Look for more information about signing up for this program in the coming months. In 2013, MVUUF achieved the Unitarian Universalist Association (UUA) Green Sanctuary certification in recognition of our dedication to addressing climate change, pursuing environmental justice, and adopting more sustainable practices. We strive to live our values and principles through action. We are proud of the impact of our outreach activities on our community, nation and the world. Our congregation represents many communities consisting of people of all ages, from the very young to the well-seasoned in life and different sexual orientations. We hold a mix of religious beliefs, a factor we consider one of our strengths.